CAE and Bombardier today announced that they have signed an agreement for CAE's acquisition of Bombardier's Military Aviation Training business for approximately C$19.8 million. The closing of the transaction is conditional on usual conditions and regulatory approvals, and if those are obtained closing is expected to occur during 2015. This move significantly enhances CAE's core capabilities as a training systems integrator (TSI) globally, and expands its offering into support for live flying training of future military pilots, including next-generation fighter pilots, for the Royal Canadian Air Force and its allies. 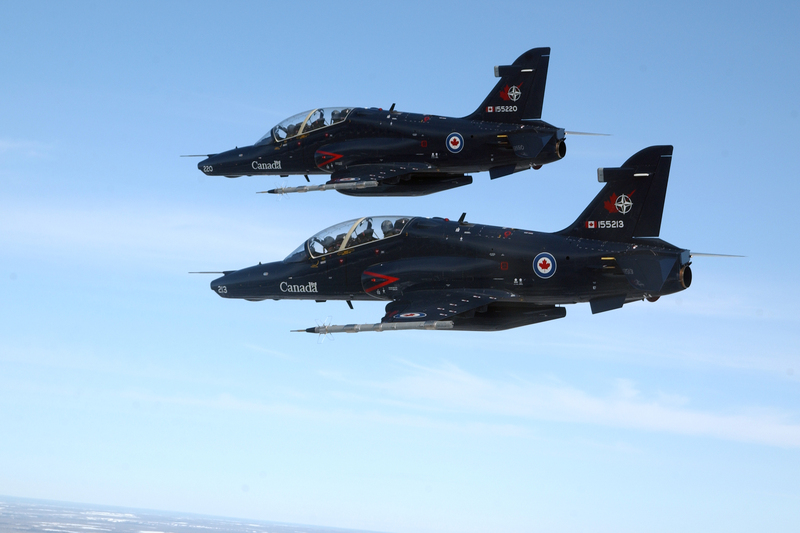 Upon conclusion of this transaction, CAE will be the prime contractor responsible for the NATO Flying Training in Canada (NFTC) program that produces qualified military pilots for defence customers. "As a training systems integrator for air forces globally, this addition to CAE gives us another important capability and opportunity for growth," said Marc Parent, CAE's President and Chief Executive Officer. "We are happy to welcome Bombardier's Military Aviation Training team to CAE. We are also proud to now operate one of the world's premier military pilot training programs and deliver the total training required, including support for live aircraft training, to produce the military's next-generation fighter pilots. We plan to expand the NFTC program, and leverage our new capabilities into future integrated training systems programs worldwide." The NFTC program operates out of Moose Jaw, Saskatchewan and Cold Lake, Alberta and is designed and operated in partnership with the Government of Canada. The program combines basic, advanced, and lead-in fighter training as part of the comprehensive pilot training program. CAE will operate the NFTC base facilities, deliver the ground-school classroom and simulator training, and support the live flying training that comprises this world-class turnkey training system. "We are honoured to address the pilot training requirements of the Royal Canadian Air Force with CAE's full-service capabilities and to continue to be its training system integrator partner of choice," said Mike Greenley, Vice President and General Manager, CAE Canada - Defence and Security. "As Canada transitions to its next-generation fighter program, we recognized the opportunity to expand CAE's footprint and capabilities to better support the RCAF with both comprehensive training and in-service support solutions." Bombardier's Military Aviation Training business includes approximately 200 employees supporting the NATO Flying Training in Canada (NFTC) program. NFTC was launched in 2000 and utilizes more than 700,000 square kilometres of air space at Canadian Forces Base (CFB) Moose Jaw and CFB Cold Lake. In addition to classroom, computer-based, and simulator training, the NFTC program delivers live flying training on a fleet of Beechcraft T-6 (CT-156 Harvard) trainer aircraft and BAE Systems Hawk (CT-155 Hawk) lead-in fighter trainer aircraft. The NFTC program is also responsible for full maintenance and operation of the aircraft under the governance of Canada's Department of National Defence airworthiness program. In addition to the Royal Canadian Air Force, other NATO partners and allies have sent student and instructor pilots through the NFTC program, including Denmark, the United Kingdom, Singapore, Italy, Hungary, Austria, Saudi Arabia and the United Arab Emirates.